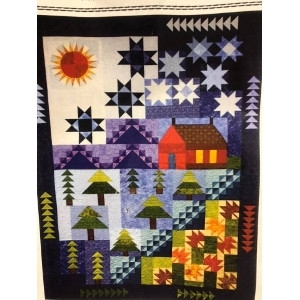 There will be 10 months to the series and in those months you will do blocks that are pieced to make this beautiful quilt. The quilt measures as a large full size. Block pick up is on the first weekend of the month. Price includes all fabrics and supplies needed, plus pattern. Cost is $22 per month , or pay $200 upfront for all months. Call or stop in to preregister and for more details. Shipping of blocks is available for a small additional postage fee.